Maintaining your seamless gutters is one of the essential things that can prevent water damage. Your gutters have the important task of driving rainwater away from your foundation, preserving the structural integrity of your house. Gutter clogs, holes and sags, however, can affect its functionality. Clogged gutters are the most common gutter problem. When poorly maintained, dirt, debris and leaves will begin to accumulate in your gutters. This debris then clogs the system, causing water to settle in the area. Additionally, the accumulated debris can weigh down your gutters, which tears and pulls it away from fascia board. When it rains, they can also overflow and harm your interior space. Prevent this by hiring a gutter installation company that provides gutter cleaning services at least twice a year. You can also install a gutter guard system to prevent leaves and debris from entering your gutters in the first place. Improperly pitched gutters can cause water to pool in your gutters and overflow, even if gutter clogging isn’t an issue. 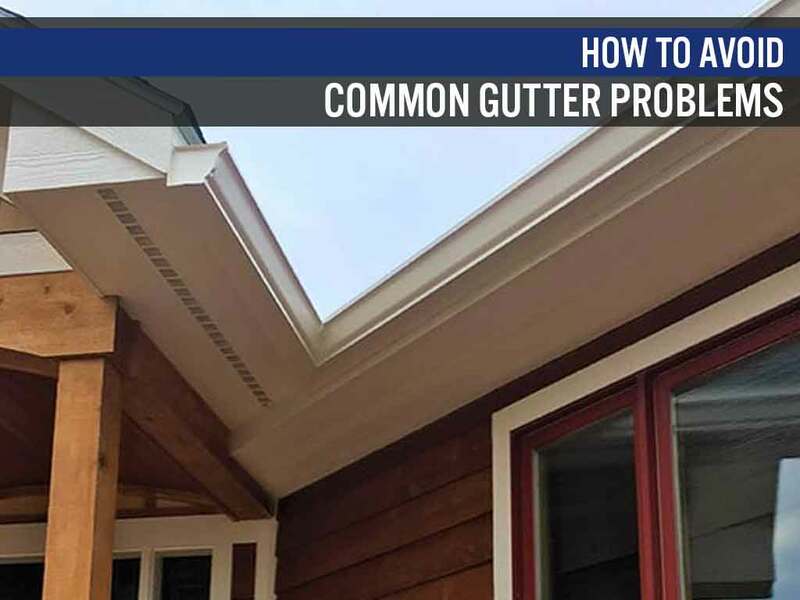 That’s because your gutters require at least a quarter inch of slope every 10 feet if you want rainwater to flow properly to your downspouts. Some homeowners, sadly, try to take matters into their own hands. We don’t recommend doing this task on your own; instead, hire gutter experts to properly calculate and pitch your gutters. You can correct leaky gutters with caulk and you can patch small holes using gutter sealant. Note, however, that this is a short-term solution, particularly if you have an old gutter system. You need to call a gutter professional like us for a thorough inspection and a permanent solution. We can determine if it’s more cost-effective to repair or replace your gutter system. If a replacement is in order, we can install high-quality half-round gutters. Work with licensed and insured gutter contractor like Advantage Seamless Gutters. Call us today at (218) 212-1818 for Baxter, (218) 692-2663 for Crosslake and (320) 421-8726 for Alexandria. We serve residents of Alexandria, Bemidji and other nearby areas in MN.